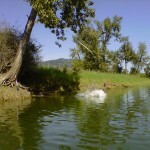 Unique posts written on Hiking, Camping, Backpacking and Trekking by TracksAndTrails.ca outdoor authors including Clayton Kessler: Kelowna, BC Canada. World's Largest Cave - still being discovered! One of the reasons I love to hike is because it seems that I always find some unique natural feature that amazes me. Could you imagine finding a cave over 6 Km long and in some places200 m high? Cavers find an exit in 6.5 km long cave in the Jungles of Vietnam. This world’s largest cave was first discovered in 1991 when a Vietnamese Jungle man named Ho Khanh. No one had entered it prior because the loud noise from the wind and under ground river freaked everyone out. In mid April 2009, after hiking for six hours, negotiating a deep chamber and 2 underground rivers, a British – Vietnamese expedition reached the chamber of the amazing hang Son Doong cave. 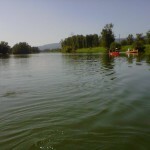 For more pictures and details of the trip go to this news site. World Reknown Okanagan Mountain Biking Trails! Mountain bike trails seem to be everywhere I hike in the Okanagan. I like to mountian bike but I would never take these crazy jumps and ramps that seem to be built in many hiking areas. I admire the passion that mountain bikers have for the sport. It takes a lot of blood, sweat and tears to accomplish what has been done in the Okanagan. 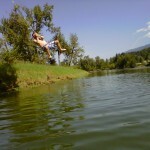 Q) I am interested in visiting Kelowna for the long weekend and doing some mtn biking. I really liked your website and found it very informative. What are the best maps for the area? What are the primo areas? Is it possible to ride around Okanagan Mountain Park in a day? 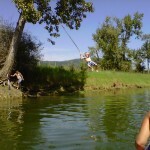 Any advice you can give me regarding mtn biking in Kelowna would be appreciated. A) Thanks for visiting Tracks And Trails and emailing your question. Being that I am not crazy enough to take the extreme single tracks and crazy ramps and jumps that are out there, I have put together a Mountain Biking Resource for the Okanagan that you can view via this link. It includes where to get trail map info as well as fourums to get up to date mtn biking intel. 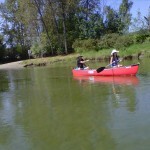 2) Powers Creek! Holy Smokes – you aint seen nothing till you been here. I think I noticed a forum (on PinkBike) that said there was a world class competition here at some point. 3) Glenmore Hills has lots to offer. Enter the hills at many points from Clifton to the Dog park just past the Kelowna Land Fill on Glenmore Road. 4) Okanagan Mountain Park could probably be seen in a day by ….maybe Phil, or someone else who bikes 400 km just for kicks so they can enjoy the feeling of thier lungs coming alive in agony and pain! What you want to do here is enjoy the park. 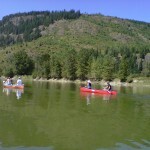 Start with a ride through Wild Horse Canyon, camp at one of the backcountry campsites, continue way up to any one of the several lakes and then loop back to Kelowna by taking the Old CN Trail or exit to the KVR along Mountain Goat Trail (you will have to carry your bike some parts) and ride down to the Kettle Valley Trestles. Please comment here when you are complete! I would love to hear about it. I would have mentioned the Crawford Trail area but I have heard that mountian bikes are not allowed anymore??? Anyone care to comment. The Okanagan Nation Alliance wildlife program is pleased to say that we’ve concluded our lynx live-trapping and collaring effort for the 2015-16 winter. 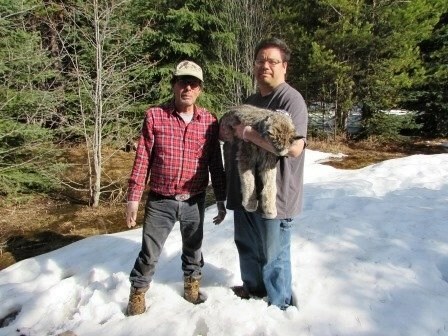 Our target was to capture and collar three lynx as an operational trial toward a better understanding of lynx movements through the Kettle River landscape and genetic relationships to lynx in Washington State. team will now move into monitoring each cat at least monthly by VHF radio with the intention of recovering data stored onboard the drop-off GPS collars later this year or as soon as practical in 2017. Each cat is permanently ear-tagged with small matching blue swing tags marked with a unique number and the letters “WDFW”. If sighted or reported, please convey the information to me! Photos L-R: Trappers Ray & Graeme Derickson with Amber; Trapper Russell Baines with Russell; Amber in the live trap; ONA biologist Al Peatt with Thumper. ONA wildlife staff: Al Peatt, RPBio (project lead & primary handler) and biologists Autumn Solomon and Alexis Friesen. Trappers Ray Derickson (Westbank FN); Russell Baines (Westbank FN); Graeme Derickson (Westbank FN); and TJ Gooliaff (UBCO MSc student). To make this project possible, many other people and agencies assisted in project planning, support and implementation by provision of funds, supplies and/or expertise. These include: Dan Thornton (Washington State University); Jen Watkins and Joe Scott (Conservation Northwest); Scott Fisher and Paul Jensen (DNR); BC Min. of FLNRO; BC Min. of Environment; Washington Dept. of Fish and Wildlife; Ross Everatt; Dr. Barrie Hume; and Dr. Allan Gill. Live trapping with daily trap checks commenced February 27 on the Derickson Family Trapline in the upper West Kettle River drainage; a total of eight live-traps were deployed during several trapping sessions. 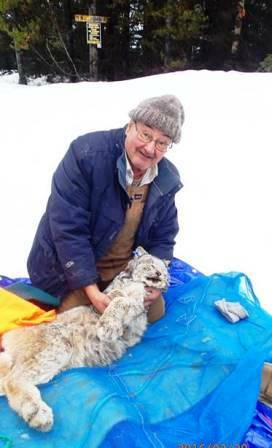 February 28: “Russell” a 12kg male lynx captured, successfully collared and released. Russell became somewhat trap-happy, has remained in the area. He was caught and released three times in total. March 24: all traps disabled for the holiday and crew break. April 7: four traps re-opened. 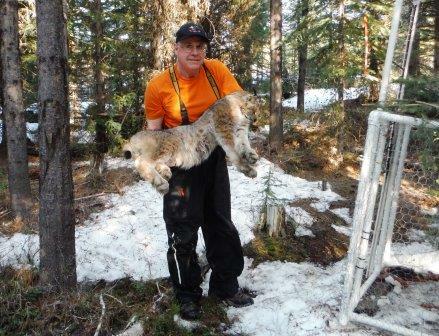 April 17: “Thumper” a ~13kg male lynx captured, successfully collared and released. April 19: “Amber” a 9.6kg male lynx captured, successfully collared and released; all traps closed and live-trapping discontinued for the season. Should you have any questions, comments or concerns please contact me! Whether taking a short hike for just a few hours or a longer camping trip for multiple days, always tell someone where you are going and what optional areas you may be exploring. The following is my trip plan for a three day and two night backpacking, canoeing and hiking trip. I was just going to write an email and send it to my wife but even if one person reads this or is reminded to write something down and tell someone where they will be in the outdoors, it may save a tragedy from happening. Hello Suzanne, …I miss you already! 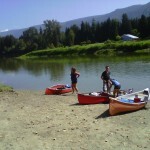 I will be leaving Friday afternoon, driving to Vernon then East to the Arrow Lakes on Highway 6. I will have a little short visit with my folks in Cherryville. After the ferry across Arrow Lakes I will stop at my brother’s place in Hills, just south of Nakusp. If I don’t stay at my brothers place Friday night I will camp in the woods somewhere around Upper and Lower Little Slocan Lakes. On Saturday morning we will find the parking lot for Gimli Ridge Hike in the Valhalla Provincial Park. After parking there we will hike up to the ridge and come back down. I do not intend to try to summit Gimil …just enjoy the hike to the ridge. On Saturday night our camp location will depend on what we discovered after our hike if we had time to explore at all….we may camp at the same spot as Friday night . The itinerary for Sunday really depends on how long it takes us to get going Saturday morning and how fast the boys hike. Gimli Ridge Video My goal for Sunday is to visit Alamo and / or Cody tjen drive home. 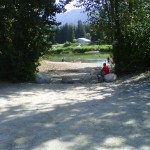 I will contact you when I get to my brothers or when I get to Nakusp. That should be no later than 5pm Sunday July 28 Love you 🙂 talk to you soon! Tracks And Trails has Trail Head pictures, maps and other information that TracksAndTrails.ca Rangers have explored or have found out how to explore. 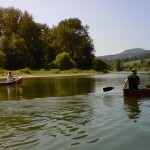 TracksAndTrails.ca is a website that first started to just cover Kelowna hiking trails. That soon expanded to other trails of the Okanagan and as visitors began to increase into the thousands per month, the founder – Clayton Kessler – decided that more than just his own experiences could be shared and now other Canadian hikers adn campers can register by using contact page and have their hiking pictures and information posted on the TracksAndTrails.ca hiking blog. Any individual hiking site promotional material is allowed and encouraged! The Tracks portion of the name refers to Rail Road Tracks that have been converted to hiking trails as well as the joy of finding animal tracks in the wilderness and the determining of which animal they belong to. A favourite outdoor activity of any child is to learn about animal tracks, specially when they lead to the animal in question so that it may be viewed in its natural habitat. The Trails portion of the name “TracksAndTrails.ca” is obvious. Trails are all over Canada – from the Trans Canaada Trail that runs from coast to coast or the trail in city, regional and provincial parks and all throughout any piece of crown land with a vista or natural wonder of some sort! Wherever your trail leads, fall may be one of the best times of the year to enjoy a Track or Trail and we who bring our experiences and information at TracksAndTrails.ca hope you travel safe this fall and remind you to not forget your bear spray and tell someone which tracks and trails you are hiking on or looking for. Flannel image used with permission from the Rocky Mountain Flannel Company. Known as the vacation destination of the Rocky Mountains, Banff is located at an altitude of 1383 m above sea level. By contrast, Kelowna, known by tourists for its sunshine and Okanagan beaches is at an altitude of 344 m. So how is one to dress for the perfect summer vacation? A common BC tour could find one touring the Okanagan on the way to Banff and I’ve come across the perfect addition to your vacation wardrobe for this summer. Typically, I’m not one to comment on fashion, but when a logical choice like flannel can be fashionable, why not weigh in?. Whenever I leave for the hills to camp with family, it is common to remind everyone to prepare for significant temperature swings from our hot temperatures in the valley to the high altitude temp drops in the Rocky Mountains with clothes that can be worn in layers. The interesting thing is that I’ve always liked plaid (not the same thing as flannel) and now I’ve noticed that flannel shirts are more a trend and I’m feeling a bit fashionable as I consider my pack with a long sleeve flannel shirt to be used in the campgrounds around Banff, where evenings can be quite a lot cooler than at the tugboat beach in Kelowna! 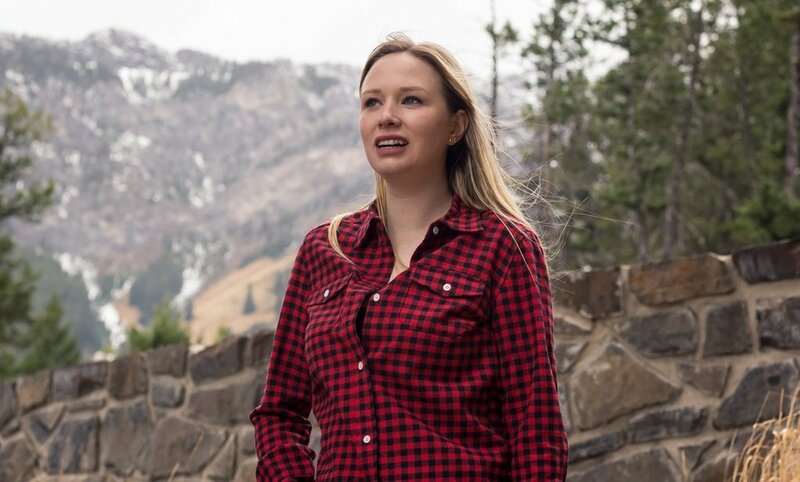 To make things real easy, check out the Rocky Mountain Flannel Company as I’ve never seen such an incredible selection of all my favourite shirts!!! The last person to file a federal homested in U.S.A. I am the last person to file a federal homested in U.S.A. Survival Fire Lighting tips and... what is better - a saw or hatchet? Thanks to Phil for excellent comments on my last fire lighting post. The fire building tips are too good to leave in comments so I pasted them below. Feel free to answer his question at the end of this post. Just to add to the SAR experience, is that this fire lighting exercise was done at night in the dark using our headlamps. Useful good burning wood is somewhat a challenge to find at night if you are not sure what to look for, you can be fooled and when that wood goes onto the fire it quickly starts to have a hard time staying lit and then you scramble to find more. Another tip is to collect more wood than you think you will need then triple that, being careful not to damage the environment. I collected my wood and kindling in a large plastic bag so keeping it together was easier to pack around while gathering and if it starts to rain it stays dry. Nothing more depressing is gathering good dry wood then having it rained on. I started my fire with one match and a cotton ball soaked in wax, they are water proof, lite weight and once lit they a very hard to put out in case the wind comes up. At the end of the day you really have to get outside and practice in the elements to get a real sense of it. Many people can get a fire going but having it stay lit , cooking and boiling water on it for an extended period of time is not as easy as it sounds. Try going out and doing that after it has rained for 2 days or longer or in the snow. The last tip I have is what tools seem to work best, well this may start a debate but that’s healthy. I have saws, knives, axe, hatchet. For me, since I have to be willing to pack my supplies on my back for extended periods of time my choice was a lite weight hatchet and my sturdy knife. I packed my saw for a whole year and it did not even come out to use so out it goes. I was able to build shelter, fire and everything I required with just the 2, even though I had more. Toronto, January 29, 2010 – Due to an overwhelming outpouring of support from Canada’s major broadcasters, the Nature Conservancy of Canada (NCC) is proud to announce that A Force for Nature will be aired across the country. This 30 second PSA, invites Canadians to join NCC in helping protect ecologically significant habitat and our native biodiversity. Narrated by CBC on-air personality and celebrated author Stuart McLean A Force for Nature will appear thanks to NCC’s generous broadcast partners CTV, Global, Rogers, Canwest, BNN, Channel Zero, Corus, CHEX-TV, CITL/Newcap TV, Sun-TV and the Weather Network. NCC plans to continue the campaign throughout 2010. 2010 is the International Year of Biodiversity, and people all over the world are working to safeguard this irreplaceable natural wealth and reduce biodiversity loss. With A Force for Nature, NCC and its broadcast partners are offering Canadians an opportunity to participate in this global issue on a local level. “What we do is tangible; we like to say we produce results you can walk on. Its not only something that’s important today, its going to be there for our children, our grandchildren, and for generations to come,” says John Lounds, President & CEO, Nature Conservancy of Canada. 2010 has been declared the International Year of Biodiversity by the United Nations. Human activity is causing the diversity of life on Earth to be lost at greatly accelerated rates that are often irreversible. 13 species have already gone extinct in Canada – gone forever – and hundreds more are officially listed by the federal government under the Species at Risk Act (SARA). Habitat loss is the greatest factor impacting global biodiversity. It is a main threat to 85 percent of all species classified as endangered or threatened in the IUCN Red List. Across North America, populations of once common birds such as the Lark Sparrow, the Grasshopper Sparrow and the Loggerhead Shrike have dropped by more than 60 percent over the last four decades. Close to 70 percent of the North American grasslands are gone; and there is less than one half of one percent of Manitoba’s Tall Grass Prairie left. Only one herd of Mountain Caribou remains in the South Selkirk Mountains and it has less than 50 members. This is the only herd that travels south into the United States. Last year, NCC protected more than 90 properties for a total of 174,351 acres. 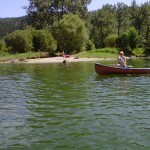 This video shows a lake being stocked with fingerlings from Penticton hatchery. It is a lake that’s never had fish. The latest news is that tomorrow afternoon they will be delivering 2,000 Pennask rainbow trout at a size of 1.2 grams. The weather forecast is good so we should be good to go. Contributions, efforts and time have been put forward by Government of BC Fishery & ONA & membership of Westbank Indian Band, all in support of this fishery. Westbank Indian Band leadership please do submitt $(5000) financial contribution to Okanagan Nation Alliance re: letter of May 22, 2018. 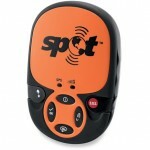 SPOT Review in a recent backcountry hiking adventure. My son begun the planing six months ago. I had hoped to go with him but couldn’t take the time from work. 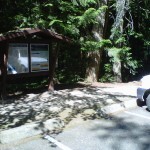 He Planned to drive into Stein Provincial Park or “Stein Valley Nlaka’pamux Heritage Park” and summit Siwhe Mountain. This climb include hiking alpine mountain ridges with no known trail and lots of scrambling to find a safe way up. It was only a few days prior his departure that I found out that all of his other hiking buddies could not accompany him except one. At this point I researched the SPOT satellite messaging and tracking service complete with the ability to record his track for review after the trip and purchased it at London Drugs (would have gone to “True Outdoors” in Kelowna but Jesse was only a night away from departing and I needed to get the system in his hands right away so he could get familiarised with it. 4) The SOS message did not have to be configured and the button when pushed would send the co-ordinates to a company that SPOT has contracted to receive the co-ordinates when the SOS button is pushed and then contact local Search and Rescue Groups and RCMP. The final step was to test it all. BAM! We didn’t even have to leave the house unlike many handheld GPS units that don’t pick up the satellites inside and our home co-ordinates were picked up and sent to all the phone numbers so we were set! The nice thing was that all the directions of how to hold each button to send each message is on the back of the SPOT and there was a quick reference card that could be carried on the person. After they finally turned on the SPOT and hit the tracking button, we could see how far they were able to drive down the forest service road and at which point they camped and began the climb. This was all nice and heart warming for a lot of reasons, 1 – this was the first major backcountry multiday hike these young men were taking and we parents were relieved to be able to see their progress via the Google Map that is used on the https://login.findmespot.com website where you could log into your account. I should mention that the tracking service actually brought the entire service fee to $149.00 The SPOT was $169 after tax so the total outlay was over $300. But the service would last a year so good value if it all works when you need it. So here is where the equipment failed. On the 14th there were two gps points sent via satellite to our phones and emails. The first point was when they turned the unit on and the second point was sent at 8:53 AM where Jesse stopped rolling at the bottom of a cliff covered in compact snow. The miraculous event was that he lived with just minor abrasions. However, due to concussion like symptoms and a very bruised and battered body in addition to lost sleeping bag and ice pick, he decided to push the SOS button on SPOT and get help and get out to safety. The two flashing green lights on the SPOT that denotes the message was sent lit up and they waited and rested where he lay at the bottom of a remote cliff. Near night fall they assumed no one was coming and Jesse felt he was rested enough and ready to get to a better camp location. On the parents end my message to my wife and the other two parents was that, maybe the batteries died or they turned it off. Don’t worry about the fact that the last GPS co-orinates were sent after a short period of time (the sudden stop) because earlier the cloud cover had made a weird location marker as well and the young men were obviously on their way home so why would the last point be going in the wrong direction. So…..we eagerly awaited their return ….and I began to think about who to contact to go find them based on the last known position. 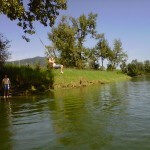 I read that SPOT would get back to me in 72 hours ….it is now Saturday August 18 2012 – close to 72 hours …but not quite. I should note that I did get a “Thank you” page after submitting the form and I will now call SPOT customer service tomorrow if I do not get an email. So this is not the full report…..the update will be here as the situation progresses. Spot was helpful. But the best they could do for me was to provide a refund. The following map shows the last two points that the SPOT sent. SPOT Equipment Replacement Program. Please see the SPOT Equipment Replacement Program Extended Limited Warranty or Service Contract for the applicable terms and condition. Pricing and terms may vary by region. 2.11 Additional Services. Additional bundled and optional services may be added to your Basic Service or bundled service plan. Varying services are available by region, such as SPOT Assist services and Premium SMS services. Please check Sections 11 through 14 below to see what optional services are available in your region. 2.12 SPOT Linkage Fee. The SPOT Linkage Fee is applied to optional services that require SPOT to transmit messages from your SPOT Product to an external service provider, such as the GEOS SAR Membership, SPOT Assist roadside and/or SPOT Assist maritime (the “SPOT Linkage Fee”). The SPOT Linkage Fee may be charged separate from the associated service or may be bundled within the total cost of the associated service and is subject to change from time to time. The SPOT Linkage Fee is a flat, non-refundable charge, and shall not be pro-rated should you subscribe to or terminate your service mid-term. Additionally, the SPOT Linkage Fee will continue to be charged with each renewal unless canceled by you in accordance with section 3.4. If you did not purchase the associated external service from SPOT, then it is your responsibility to ensure that your external service is current and active. 3. PLAN. Your Service Plan consists of the SPOT Basic Service and any bundles or optional services selected by you either when you activate your SPOT Product or any that you may add during your Term. 3.1 Term. You agree to remain as a subscriber for the minimum period stated in your Service Plan’s Term, or if no Term is specifically stated in your Service Plan, for a Term of twelve (12) months starting on the date of service activation. Available Service Plan terms may include: a yearly term with prepayment in full, a yearly term with prepayment prior to each service month or a multi-year term with prepayment in full. 3.2 Renewal. All Service Plans automatically renew at the end of their Term for an additional one (1) year Term unless you cancel by notifying SPOT as provided in Section 3.4. Where required by law, SPOT will provide you with advance notice of the renewal of your Service Plan. All Service Plans are pre paid plans. 3.3 Non-Refundable. Pre-paid Service Plan fees are non-refundable unless SPOT cancels the service, in which event you will receive a pro rata refund for airtime for the unused portion of the Service Plan. Pre-paid Service Plans may not be transferred to a third party account; however, upon your request, they may be transferred to another SPOT Product within your own account. 3.4 Cancellation. To cancel your Service Plan, you must notify SPOT in writing or contact SPOT Customer Service at 866-OK1-SPOT (651-7768) within thirty (30) days prior to the end of your Service Plan’s Term, or within thirty (30) days of SPOT posting a change to this Agreement which you do not accept. To notify SPOT in writing, you must email your notice of cancellation to customerservice@findmespot.com and provide your name, your address and the ESN from the SPOT Product for which you want to cancel Services. The ESN for your Spot Product is located in the battery compartment, under the battery of your SPOT Product. You may call SPOT Customer Service at 866-OK1-SPOT (651-7768) if you have questions. I just ordered my new motorhome! I searched on my laptop and while I searched my wife and son searched via smartphone for best prices on Ford’s tent accessory package option. I was surprised to see that there are not too many websites with deals on this tent in a box. I found the price on a few websites but when I called my local Ford Dealer their price was about the same, $289. I ordered it and it will be here in a couple of days. 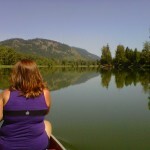 After we use it for a trip to the east Kootenay’s I will update this post and write up a review. 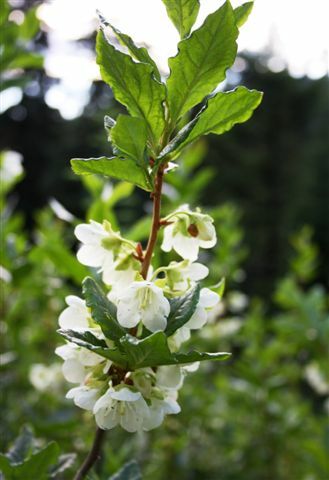 Silver Star Mountain Wildflowers Are In Full Bloom! The multi-coloured mountain wildflower show is decorating the top of Silver Star Mountain. 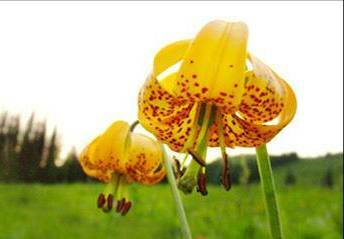 “We had a slow start to the summer, it even snowed in July!,” exclaimed Roseanne Van Ee, Silver Star’s Mountain Naturalist and Tour Guide, “Now, all the recent heat and sunshine has the flowers popping out all together for a spectacular show”. 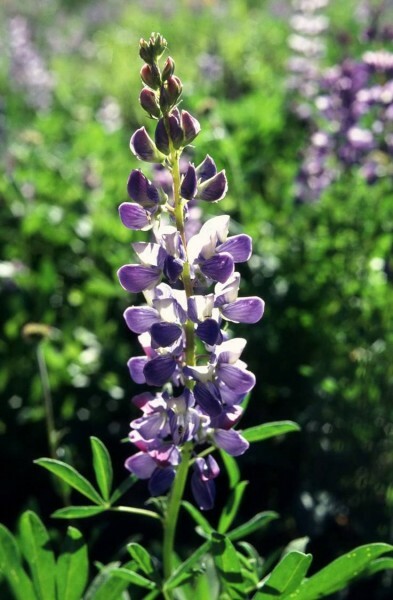 The best way to experience not only the wildflowers, but also a bit of mountain history, ecology and geology, is to join an afternoon Mountain Wildflower Tour where hikers are guided on a downhill stroll through the best wildflower meadows, to the remains of the Silver Queen mine and cabin and to the most spectacular valley and Columbia mountain viewpoints. The tour starts with a chairlift ride to the top. Monday to Thursdays the group walks down to the Comet chair, but on Friday and Saturday the village chairlift allows for a shorter walk. Participants enjoy a lemonade and cookie picnic at the end. Leave the valley heat for a refreshing mountain stroll. Pictures and tour descriptions are found atwww.OutdoorDiscoveries.com or phone the Summer Ticket Office at 250-558-6010.